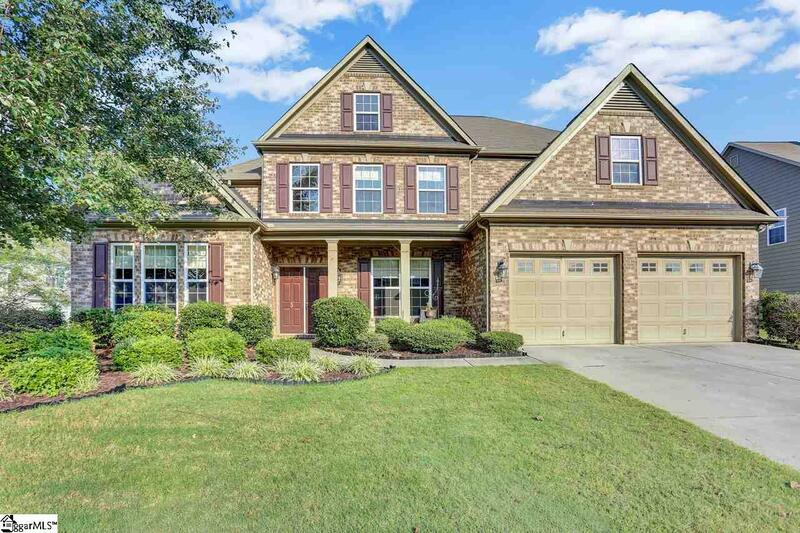 You must see this 4-5 bedroom with 4.5 baths home with a master on main. The sellers have taken great pride in ownership with hardwoods floors throughout most of the main living area and fresh paint through much of the home. Once you walk inside you will love the two-story foyer, over-sized dining room and nice separate office at front of the home. The large great room with coffered ceilings overlooks the open Kitchen with counter space galore and lovely eat-in kitchen. Upstairs has a small loft area, which make a great sitting area or small desk area for kids to enjoy. Upstairs you will find two bedrooms with en-suites and another 2 bedrooms with a jack and jill bath. One of the bedrooms upstairs is large enough to easily use as a Family/Bonus room – but the en-suite gives several options for usage for this room! Either way, there is tons of space in this home! You will absolutely love the back walk out area with plenty of space for entertainment! Shenandoah Farms is conveniently located off of Jonesville road with easy access to everything but removed from Woodruff Road traffic. This is a must see today! !